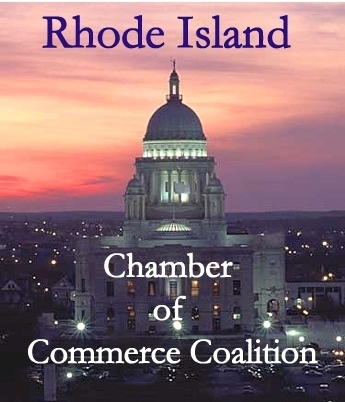 Under the Dome is a government affairs update brought to you during the Rhode Island General Assembly session by the Chamber of Commerce Coalition. Each week, the Chamber Coalition will bring you legislative and administration items of interest including legislation that has been introduced, administrative and regulatory updates, legislative committee hearings, budget reports and more. The House has extended the bill filing deadline to February 28, 2017. The Senate’s deadline was February 16, 2017. For those reasons, we can expect many bills to be released to the public the last week of February through the first two weeks of March. Stay tuned to UTD for new bills! On March 2nd at approximately 4:30pm, the House Finance Committee will take testimony from the public concerning the proposed budget - Article 2 – Manufacturers. As you may recall from a previous edition of UTD, Article 2 seeks to assist manufacturers in order to grow the economy. It expands the Innovation Voucher program by allowing up to $1 million of the fund to be used for research and development by and for small manufacturers. It establishes a Refundable Tax Credit; and the Article creates a Refundable Jobs Training Tax Credit for manufacturers. The hearing will be held in Room 35 in the basement of the State House. What’s in the Governor’s Budget? After searching high and low for a budget article adopting a mandatory sick time policy, the Chamber was unable to find one. According to the Governor’s staff, she will be submitting a separate stand-alone bill in the upcoming weeks so stay tuned! The Governor’s tuition program begins with the graduating class of 2017. The program would be funded by General Revenues as well as any donations that might be received, and covers both tuition and any mandatory fees assessed by the University of RI (URI), RI College (RIC), and the Community College of RI (CCRI). To qualify, the student must be less than 19 years of age at the time of graduation or at the time he/she earns a GED. If the student wishes to attend CCRI, he/she must enroll as a full-time student immediately after graduation. If the student wishes to attend URI or RIC, he/she must already be enrolled and completed 60 credits before the application for the tuition program is submitted. The student is required to be a full-time student (special circumstances exempted), maintain a 2.0 GPA and stay on track to finish on time. Governor Raimondo released her vision of the State’s 2018 budget on Thursday evening. H.5175 (link provided below) details the $9.3 billion revenue and spending plan that includes two years of free tuition for Rhode Island high school students as well as a continuation of many of the economic development programs that were created last year. In a first blush, brief overview of the budget, the revenues seem to rely on current sources of revenue, an increase in sales tax due to the extension of the tax to on-line purchases, an increase in a few fees, and a fifty cent ($.50) increase in tax on the sale of cigarettes – the new tax rate would be $4.25 per pack giving Rhode Island the second highest tax in the country (New York is the highest). In the coming weeks, the Chamber will be highlighting budget Articles of interest to the business community. Welcome to the first edition of Under the Dome 2017! On January 3, 2017, the legislature began its new year. In the coming weeks, legislation will be filed, hearings will be held and the Chamber may ask you to contact your legislators when the need arises. If you haven’t done so already, please go to the Rhode Island Secretary of State’s web page, https://vote.sos.ri.gov/ and enter your information as requested (if you live in Rhode Island), so that you will know who represents you as a State Representative and a State Senator. Thank you for your help! Awaiting Committee Assignments – Neither the House nor the Senate has announced any committee membership lists at this time. Those assignments are expected to be made soon. The 2016 legislative session ended around 5:30 a.m. Saturday morning for the House of Representatives and just after 6:00 a.m. Saturday morning for the Senate. During the 14 hours of debates and negotiations, the House addressed over 400 calendar items while the Senate voted on over 200 calendar items. The Senate has historically voted on more bills than the house prior to entering the last night of session, so the difference between the two is not odd; but the volume of bills acted upon for both sides was unique. In a future edition of UTD, we will present to you the new laws and citations for those laws once they are signed by the Governor. Noting hours of testimony received on S.3037 SubA, An Act Relating to State Affairs and Government – Energy Facility Siting Act the members of the Senate Judiciary Committee continued, expressing concern over the precedent setting nature of the bill. Committee members also referred to a Rhode Island Supreme Court case – Warwick Mall Trust v. State of Rhode Island. This case states that the Rhode Island Constitution (Article XIII, Section 5) gives the General Assembly the right to grant taxing authority to municipalities, and therefore tax treaties as well. If the voters of a municipality are required to approve municipal tax treaties, then the argument is made that the voters would have to approve the General Assembly’s granting of the authority to municipalities to tax or grant tax treaties which is against the Constitution. In addition, the committee received a signed letter from the Burrillville Town Council, asking the Senate to reject the legislation. For these reasons, the Committee voted 7-2 to recommend “no passage” on both S.3037 SubA and H.8240 SubA. The bill, therefore, is dead for this year. The Chamber applauds the Committee members for voting against the bill in a very thoughtful, deliberative manner. After the House voted 62-6 (with 6 not voting) to pass H.8240, the battle continues concerning the ability of the citizens of Burrillville to override the actions of their Town Council when it comes to a tax treaty for an energy plant. S.3037 SubA, An Act Relating to State Affairs and Government – Energy Facility Siting Act was heard by the Senate Judiciary Committee this week but was held for further study. The bill could still be voted out of committee next week, but committee members asked many good questions concerning the precedent that would be established under this bill and the energy project itself. S.3037 SubA increases the number of people on the energy facility siting board from three to nine and bans the appointment of any person who received a significant portion of their income from an energy company or from an oil, gas or electric company. The bill also states that any tax treaty approved by the Town Council of Burrillville would have to be put before the voters for their approval. If the Town Council chose to extend a tax treaty by resolution in the future, that resolution would again be subject to voter approval. The committee did receive a letter from the Burrillville Town Council, but the letter was unsigned leaving the origin of the letter in question. The Chamber opposed the voter referendum approval requirement. The Chamber urges you to contact your State Senator and ask him/her to “vote no” on S.3037. This bill establishes a very bad precedent by allowing voters to vote on tax treaties negotiated in good faith between a business or developer and officials of a town or city. To find out who your State Senator is, go to the following website and enter your address. THANK YOU! The last edition of UTD featured an overview of the Invenergy power plant proposal as well as H.8240, An Act Relating to State Affairs and Government – Energy Facility Siting Act. The bill increases the number of people on the energy facility siting board from three to nine and bans the appointment of any person who received a significant portion of their income from an energy company or from an oil, gas or electric company. The bill also states that any tax treaty approved by the Town Council of Burrillville would have to be put before the voters for their approval. If the Town Council chose to extend a tax treaty by resolution in the future, that resolution would again be subject to voter approval. The Chamber opposed the voter referendum approval requirement. Last week the House Committee on Environment and Energy Voted to approve the bill 11-2. Rep. Michael Marcello (D-Scituate, Cranston) and Rep. Raymond Hull (D-North Providence, Providence) voted against approval of the bill. The full House could vote on the bill this week; that is why we are urging all Chamber members to contact their State Representatives and ask them to “vote no” on H.8240. This bill establishes a very bad precedent by allowing voters to vote on tax treaties negotiated in good faith between a business or developer and officials of a town or city. To find out who your State Representative is, go to the following website and enter your address. THANK YOU! After months of meetings, the Department of Business Regulation, together with the property casualty insurance industry, developed an innovative idea to help Rhode Island attract and create jobs. H.8058, An Act Relating to Taxation – Taxation of Insurance Companies, proposes to lower the premium tax paid by insurance companies by an amount equal to the revenue realized by the state through additional income tax dollars paid by the new/additional insurance company employees. The reason this idea is so unique, is that insurance companies are subject to retaliatory taxes in other states. For example, ABC insurance company located in RI is subject to a 2% premium tax on insurance sold to RI citizens. If ABC insurance company sells insurance to citizens of CT which has a premium tax of 1.75%, ABC insurance company would be required to pay the state of CT a 2% premium tax because that is the tax assessed in RI. By lowering the premium tax here in RI, the state is in a strong position to attract insurance companies to relocate to the state, and to encourage locally domiciled insurance companies to grow jobs here as opposed to in other states – all at a revenue neutral impact to the state. According to the Department of Labor and Training, the state’s unemployment rate dropped to 5.3% last month. While that is a positive for RI, the state also lost 1500 jobs. The Chamber testified that H.8058 “utilizes a unique idea to help our state regain some of those lost jobs. The Revenue Estimating conference finished its work last week and concluded that the state will have a reported $37 million in additional revenue over what was originally predicted. With that said however, some expenses were also higher for the year, leaving legislators with some tough decisions to make. The House, Senate and Governor’s office have begun pre-negotiations on the FY2017 budget. The goal is to release a budget in a couple weeks, giving the General Assembly the opportunity to wrap up its legislative work the middle of June. Those are just targets, but it is doable. On Tuesday, the Senate Judiciary Committee passed S.2543 SubA, An Act Relating to Property – Form and Effect of Conveyances. This legislation would require that all transfers of a mortgage interest on residential property be recorded in the town or city where the property is located. The stated intent of the bill is to provide a clean chain of title for consumers to track the owner of their mortgage loans, but it does so by discontinuing the practice of recording mortgages in the name of a party other than the holder of the note secured by the mortgage. This act would also require mortgage assignments be recorded within a certain time or render the mortgage void, but not nullify the underlying indebtedness. S.2543 basically targets MERS (Mortgage Electronic Registration Systems). As mortgages are sold on the secondary market or as servicers of loans change, many large lenders use MERS to track the changes electronically. It’s simple to use and is efficient for the industry. Anyone can go to the MERS site on the computer, enter an address and find out who holds the mortgage. The Rhode Island Supreme Court, in the most recent decision Bucci v. Lehman Brothers Bank FSB, upheld MERS as a nominee. As noted in the case, MERS doesn’t conduct foreclosures any longer. The Court made clear MERS’ importance in housing financing today. The only state that has passed a bill requiring the recording of assignments of mortgages (but not notes) is Kentucky in 2006; no other state has done so. If passed, companies in the mortgage business fear lenders in the secondary market will not buy Rhode Island mortgages, therefore drying up access to capital for residential property. S.2543 Sub A has not yet been placed on the Senate calendar for a vote. If you have an interest in this legislation, please contact your Senator now! Each year the General Assembly breaks in April for one week. A majority of the hearings have been held, leaving the months of May and June for bill negotiations as well as the creation of the budget. On May 7th, the House, Senate and Governor’s office and fiscal staffs will meet in what is known as the Revenue Estimating Conference. At that time, they will determine the amount of revenue available for the FY2017 budget. If the revenues are good, the budget process is obviously easier. If the numbers are lower than anticipated (which is what the rumor mill is predicting) the budget process becomes more challenging. Because the General Assembly is on break from April 18th through April 22nd, there will be no edition of “Under the Dome” next week. H.7026, An Act Relating to Alcoholic Beverages was passed by the Senate and transmitted to the Governor for consideration. The Senate version S.2059, passed the House and has also been transmitted to the Governor. Both bills ban the sale and purchase of powdered alcohol in the state. The sale of product, which is expected to begin this summer, has the potential to hurt restaurants, entertainment venues and hotels as customers purchase soda or order water and then create their own cocktail by adding powder. The use of the product also raises liability issues for businesses. An individual could order one drink, appear intoxicated so that the bartender refuses to serve another drink, order a soda and add powdered alcohol thus becoming more intoxicated. If the person has an accident while driving on the way home, any injured party could sue the business. The Chamber supports passage of both H.7026 and S.2059. H.7026, An Act Relating to Alcoholic Beverages passed the Senate Judiciary Committee Tuesday April 5th. The Senate version S.2059, was passed by the House Judiciary Committee on April 6th. Both bills ban the sale and purchase of powdered alcohol in the state. The sale of product, which is expected to begin this summer, has the potential to hurt restaurants, entertainment venues and hotels as customers purchase soda or order water and then create their own cocktail by adding powder. The use of the product also raises liability issues for businesses. An individual could order one drink, appear intoxicated so that the bartender refuses to serve another drink, order a soda and add powdered alcohol thus becoming more intoxicated. If the person has an accident while driving on the way home, any injured party could sue the business. The Chamber supports passage of both H.7026 and S.2059. The House Labor Committee met for 5 ½ hours Thursday March 31st to discuss increases in minimum wage, fair pay for women, and the infamous H.7633, An Act Relating to Labor and Labor Relations – Healthy and Safe Families and Workplaces Act. In case you missed last week’s UTD, this bill requires employers to provide paid sick and safety leave time which accumulates at the rate of one hour for every thirty hours an employee works, up to a maximum of fifty-six hours a year. Sick/safety leave can be used for medical reasons as well as for preventive medical care, care of a family member, attend court proceedings associated with domestic violence or sexual assault, relocate due to domestic violence or sexual assault, or to care for a family member as a result of a domestic violence issue. The definition of family member includes: biological, adopted, foster child or stepchild regardless of age; biological, foster, stepparent or adoptive parent; spouse, domestic partner; grandparent, grandchild; sibling or “Any other individual related by blood or affinity whose close association with the employee is the equivalent of a family relationship.” If an employee is absent for three consecutive days, an employer can require the employee to submit written documentation to prove the reason for the absence. Any out of pocket expenses associated with obtaining the documentation must be paid by the employer. Only five states in the country have passed a sick leave bill – California, Oregon, Massachusetts, Connecticut and Vermont. H.7633 is more generous than any of the 5 states; but passage of any version of the bill would make Rhode Island an outlier with most of the county. Thank you to all of the Chamber members who contacted members of the House Labor Committee to voice opposition to this bill. It is now time to contact your own legislator in addition to the House Labor Committee members. The Chamber opposes the passage of H.7633. H.7896, An Act Relating to Health and Safety – Producer Responsibility Program for Printed Paper and Packaging. The legislation states, as its purpose, “to have a system of resource recovery and waste reduction that aims to: (1) Minimize greenhouse gas emissions resulting from resource recovery activities and waste reduction activities; (2) Minimize the generation of waste, including waste from products and packaging; (3) Increase the durability, reusability and recyclability of products and packaging; and (4) Hold persons who are most responsible for the design of products and packaging responsible for the products and packaging at the end of life.” H.7896 then goes on to accomplish those goals by directing RI Resource Recovery Corporation (RIRRC) to adopt regulations requiring producers of packaging materials to reduce the amount of waste associated with disposing the material. Packing includes items such as boxes, bags, pallets and bail wrap. Additionally, RIRRC must create a system for collecting and managing packaging materials as well as to establish a registration and reporting system for all producers of packaging materials (or those commercially related to the material – which is vaguely defined) in Rhode Island. Finally, the legislation authorizes RIRRC to assess fees to pay for the costs of the program, although it is unclear whether the fee would be assessed on the producer, distributor or retailer. No other state in the country has enacted this law. The Chamber opposes this bill. Senate Bill No. 2569, An Act Relating to Labor and Labor Relations – Workers’ Compensation, adds responsibility to the workers’ compensation administrative account. 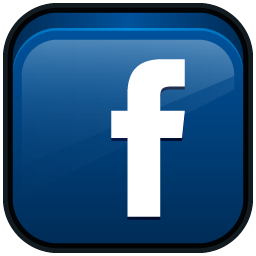 This account is funded by a 6.5% assessment on the workers’ compensation premiums for employers in Rhode Island. RI currently has one of the highest assessments in the country. The account pays for programs such as the Donely Rehabilitation Center, the activities of the workers’ compensation court, and related administrative tasks assigned to the Department of Labor. S.2569 proposes to add the requirement to fund the “Rhode Island Uninsured Employers’ Fund” (RIUEF). RIUEF is intended to provide financial assistance to employees who are hurt while working for employers who failed to secure workers’ compensation insurance. Nothing in the bill suggests how much the assessment would increase in order to adequately fund the RIUEF; and the Chamber, while expressing its opposition to this bill, pointed out that it is unfair to charge employers that are rightfully purchasing workers compensation insurance for those employers that are scamming the system. The Senate Labor Committee sent S.2569 to the Workers’ Comp Advisory Council for their input. S.2213, An Act Relating to Health and Safety was heard in the Senate Committee on Housing and Municipal Government last week. The bill bans insurance adjusters, contractors and restoration companies from the site of a fire for 24 hours following the fire department’s release of the premises back to the owner/occupant, unless the entity is with the owner/occupant. The legislation is meant to maintain the integrity of the fire investigation and to give the owner time to look through the fire site before various interested parties solicit business or show up. The Chamber supports the passage of S.2213. As mentioned in last week’s UTD, the House Labor Committee was scheduled to hear testimony on two bills aimed at changing the employer/employee relationship by requiring employers to provide 14 day written work schedule notices, retention pay, flexible work schedule requests, payment for work outside of the written schedule provided, etc. The two bills (H.7515 and H.7634) were postponed and will be heard at a later date. The committee did take testimony on H.7505 which prohibits employers from deducting any amount from their employees' wages except for items specifically stated in state or federal law; and would ban employers from deducting from wages amounts for spoilage, breakage, cash shortages, losses, fines or penalties for tardiness, misconduct or quitting by an employee without notice. H.7505 would not allow an employer to deduct – even with employee written authorization – health insurance copays, uniform costs, gym memberships, PAC contributions, child care costs etc. The Chamber testified against H.7505. The proponents of the bill did not intent to capture so many benefits provided to employees through payroll deductions; and they agreed to work with the Chamber to re-draft the bill’s language. On Thursday, February 25th, the House Labor Committee will be taking testimony on the following bills at 3:30pm in room 205 at the State House. H.7505 – This bill would bar employers from deducting any monies from an employee’s pay unless the deduction is specifically authorized in Rhode Island General Laws Title 28, or otherwise required by law. A few exceptions are noted: reimbursement for breakage, cash shortages or losses, or penalties for tardiness, misconduct or as a result of an employee quitting without notice. The Chamber opposes H.7505. The Governor quickly signed the bill, allowing implementation to begin. While Punxsutawney Phil predicted an early spring, Governor Gina Raimondo predicted that Rhode Island is getting stronger. In her State of the State Address last week, Governor Raimondo proudly noted that Rhode Island realized an increase of more than 8000 jobs last year and its unemployment rate dropped more than any other state in the nation. The Governor used one of Rhode Island’s favorite past times to make her point. “If we want to grow high wage jobs, we need to skate to where the puck will be.” Her FY2017 budget proposal includes an expansion of Research and Development grants to encourage businesses to invest in research and development, as well as to partner with universities to achieve innovation. Raimondo pointed out that today 40% of the population has some advanced education, but the economy is expected to need 70% of the population to have additional education. As expected, the House and Senate filed bills to allow for the collection of tolls throughout the state. H.7409, sponsored by the House Majority Leader John DeSimone and S.2246 sponsored by Senate Majority Leader Dominick Ruggerio where both filed January 28th. The bills allow the RI Turnpike Authority to purchase tolling facilities for bridges in the state; and allow the Department of Transportation (DOT) to collect the tolls. Locations would be chosen by the DOT as long as the locations comply with federal requirements. Following an economic analysis and a public hearing, DOT would set the amount of the toll with certain restrictions in place. The maximum toll paid for crossing the state on Route 95 would be $20.00. No truck could be charged more than once per day per tolling site meaning a truck could cross a bridge from the north and south resulting in two toll charges. If that truck crossed the same bridge again in the same day, no toll would be assessed. DOT is limited by a maximum per day charge of $40.00 for crossing multiple bridges in the state. The bills state clearly that vehicles - other than Class 8 trucks and higher - cannot be tolled unless a majority of people voting in a statewide referendum approve the additional tolls. The House Finance Committee will be taking testimony on the proposal, as well as other House sponsored proposals, Thursday, February 4th, beginning at 2:30 p.m. in room 35 at the State House. The Senate Finance Committee will hear testimony on S.2246 on Wednesday, February 3rd, at 2:00 p.m. in the Senate Lounge. On Tuesday, January 26th, the House Corporations Committee will take testimony on three new health care mandate proposals. H.7162 requires health insurance policies include coverage for temporomandibular joint disorder. H.7163 requires policies/plans issued by health insurers to cover abuse-deterrent drug formulations of opioid analgesics. The CHAMBER continues to ask that economic impact analyses be done prior to adding any new health care mandates as each mandate adds to the cost of health care premiums. CHAMBER OPPOSES WITHOUT FURTHER ANALYSIS. Legislative hearings have begun in both the House and Senate as they start to address the bills filed. One bill that the Chamber will not have to weigh in on is H.7047, An Act Relating to Businesses and Professions – Electricians. H.7047 would have required general electrical “maintenance” to be done by a licensed electrician. In 2015, the Chamber worked to amend the bill so that a company was not required to hire an electrician to change light bulbs. The 2015 compromise bill died the last night of the 2015 session. The sponsor filed the original 2015 bill again this year but formally withdrew it last Tuesday, thus killing the bill for the year. CHAMBER WIN. Welcome to the first edition of Under the Dome 2016! On January 5, 2016, the legislature began its new year. In the coming weeks, legislation will be filed, hearings will be held and the Chamber may ask you to contact your legislators when the need arises. If you haven’t done so already, please go to the Rhode Island Secretary of State’s web page, https://sos.ri.gov/vic/ enter your home address (if you live in Rhode Island) and the address for your company, so that you will know who represents you as a State Representative and a State Senator. Thank you for your help! The Senate and the House have transmitted, to the Governor, the bills that passed both legislative branches. To top off the uniqueness of the 2015 session, Governor Raimondo did not veto one bill, but either signed them or allowed them to become effective without her signature. It is still unclear as to whether the legislature will come back this fall. Senate Bill No. 649 SUB A, now Chapter 22 of the 2015 RI Public Laws, AN ACT RELATING TO TWIN RIVER CASINO GAMBLING (Removes a provision in the 2005 public laws which prohibits the construction of a hotel on the Twin River premises in Lincoln, Rhode Island.). This bill was signed by the Governor April 23rd and is effective now. The House version - House Bill No. 5798 as amended is Chapter 19 of the 2015 RI Public Laws. Senate Bill No. 737 SUB B, now Chapter 218 of the 2015 RI Public Laws, AN ACT RELATING TO AGRICULTURE AND FORESTRY - AGRICULTURE FUNCTIONS OF DEPARTMENT OF ENVIRONMENTAL MANAGEMENT (Amends the general laws relative to regulation of freshwater wetlands by establishing state standards for freshwater buffers and setbacks.) This bill will help to standardize wetland regulations, making it easier for developers and businesses to navigate the permit process. Communities are required to alter their ordinances to comply with the standard. The bill was signed by the Governor July 10th and is effective now. Realizing an impasse was insurmountable, the Senate recessed and the House followed, ending the 2015 legislative session…for now. Major bills such as the Governor’s toll proposal, a Pawsox stadium, and the regulation and taxing of Uber vehicles were left unresolved, while many other bills were left in limbo, having passed both branches but never officially transmitted to the Governor. Because the Senate and House “recessed”, they could come back into session at any time, but most discussions refer to a September session – after the Labor Day holiday. The Rhode Island House of Representatives passed a FY 2016 budget of $8.7 billion in record time and unanimously. The debate that lasted roughly 2 ½ hours left many long time lobbyists and legislators scratching their heads. The House passed the state pension settlement with no debate; passed the Governor’s economic development tools that she wanted however with some oversight provisions built in by the House; and endorsed the Governor’s proposal to expand the definition of hotels to include all rentals that are less than 30 days. As the last article was passed at 7:16, the members gave themselves a standing ovation to celebrate the speedy adoption of the budget. The Senate is expected to pass the budget this week. The final wrap up of the 2015 session should be June 23rd or 24th. In an effort to make the lobbying process more transparent to the public as well as more clear for those participating in lobbying efforts, the Secretary of State Nellie Gorbea introduced legislation. The bill combines various definitions of lobbying in the current law into one definition that is more explicit. The legislation simplifies the reporting process, and gives the Secretary of State subpoena powers in order to find those individuals that are lobbying while avoiding the reporting requirements. Chamber CEO, John Gregory has authored a letter of support which may be published in a future edition of the Providence Business News. The House and Senate are busy working on the budget with the hopes of bringing the document out of the House Finance Committee Wednesday or Thursday of this week. If successful in meeting the goal, it is possible that the legislature could adjourn before the end of June. Many issues will be addressed in the coming weeks. The Governor released a new proposal entitled “Rhode Works.” Noting that Rhode Island is ranked 50th in the country in bridge and road conditions and that 22% of our 1162 bridges are structurally deficient, the Governor unveiled the idea of a proposed tax on certain trucks that pass over the state’s roads. RoadWorks calls for the issuance of a $700 million revenue bond for the repair of bridges ($300 million for bridges throughout the state and $400 million for bridges on Routes 6 and 10). At the news conference, it was stated that a “user fee” would be assessed on trucks traveling across 17 to 20 bridges throughout the state, on Routes 95, 195, 295, 146, 6 and 10. Trucks would also pay multiple times if they passed over more than one of these bridges during one trip through Rhode Island. The user fee is, in essence, a toll. Below is a chart that was released by WPRI to help explain which trucks are intended to be included in the fee/toll program. Senate Bill No. 194, AN ACT RELATING TO LABOR AND LABOR RELATIONS – MINIMUM WAGES (Provides an increase in the minimum wage from nine dollars ($9.00) to ten dollars and ten cents ($10.10) per hour on January 1, 2016.). The Senate Labor Committee is expected to pass this bill on the 27th. The Committee may change the dollar amount of the minimum wage to something less than $10.10. The Chamber opposes this bill. The House version H.5074 will be voted on in the House Labor Committee May 28th. (1) Reforms to the payment and delivery system, to move away from the current fee-for-service model which pays for volume towards paying for value and quality. In many cases, these recommendations propose short-term reductions in reimbursements to providers, paired with a structure to move towards more effective and accountable models of care. (2) Tools to strengthen the state’s ability to root out waste, fraud, and abuse, ensuring that scarce resources are spent where they are needed most. (3) Tactical improvements to the efficiency of the state’s administration of these programs, ensuring that they operative effectively and leanly. Article 11, Section 24, Infrastructure Bank. This Article attempts to establish tools for business growth by creating a pool of money that can be used to fund renewable energy and efficiency projects, green infrastructure programs, storm water and brownsfields programs. Unfortunately, the Article also encourages the use of project labor agreements (PLAs) for the efficient building fund. PLAs require all contractors and subcontractors working on the project to sign an agreement with the union and to hire their employees through the union hall. PLAs require a non-union contractor/subcontractor to turn their workers over to the union hall, pay union benefits (even if they have benefits under their own individual company), pay five cents per hour per employee to the RI Building and Construction Trades Council for the privilege of obtaining the work, and even run the possibility of having to use union members on the job instead of their own workers. All of these requirements cost additional money to the state tax payers. The Chamber testified in support the programs within Article 24, but opposed the inclusion of the project labor agreement language. The Chamber Coalition also opposed the PLA inclusion. Article 11, Section 7, Elimination of Sales Tax on Commercial Fuel. The Chamber testified in favor of the elimination of the 7% sales tax on heating fuel paid by commercial entities. Current Rhode Island law already exempts residential heating fuel from the state sales tax. It is well recognized that the state has very high energy costs. This Article seeks to lower energy bills in order to help existing businesses and to help attract new companies. Article 11, Section 12, Earned Income Tax Credit. The Chamber testified in favor of the proposed increase to the Earned Income Tax Credit (EITC) as put forward by the Governor. Under current law Rhode Island provides a 10% EITC to low income households. The proposal increases the EITC to 12.5% in Tax Year 2016 and 15% in Tax year 2017. Rhode Island’s neighboring states offer higher credits of 27.5% (CT) and 15% (MA). Raising the EITC places money back into the hands of those who need it; but it also provides an incentive to work as the credit is based on earned income. This is a win/win situation for all parties. Tax Rate: The corporate income tax rate under Rhode Island General Laws (RIGL) § 44-11-2 will be 7 percent for tax years beginning on or after January 1, 2015, down from the 9 percent for 2014. Franchise Tax: For 2014, the franchise tax is generally $2.50 per $10,000 of a corporation’s authorized capital stock. However, for tax years beginning on or after January 1, 2015, the franchise tax is repealed. Combined Reporting: For tax year 2014, corporations subject to Rhode Island’s corporate income tax file separate returns, as separate entities. However, for tax years beginning on or after January 1, 2015, Rhode Island has adopted combined reporting for corporate income tax purposes. As a result, a business which is treated as a C corporation – and which is part of a combined group engaged in a single business enterprise (a “unitary” business) – must file a combined report with Rhode Island. Thus, a corporation will generally have to treat all of its affiliates as if they were a single company, and combine all of their taxable income in a single pool. A formula will be used to apportion combined income to Rhode Island for tax purposes. What are the top three issues affecting your business that your Chamber Coalition represented you on at the State House last week? The first piece of legislation would provide an increase in the minimum wage to $9.00 per hour on January 1, 2015 and would continue raising the minimum wage each January 1st until January 1, 2017, at which time the minimum wage would be increased automatically each year using an index.